PHOENIX – Like most NFL teams, the Jets went into this offseason with a shopping list. Theirs was obviously a little different than others’ given their unqiue needs, the number of items they already had in stock like a young franchise quarterback, and their big budget when it came to salary cap space. But that’s not a surprise. Every franchise thinks they have a plan. The difference for the Jets? Theirs worked. Even general manager Mike Maccagnan seemed a little surprised by that when he spoke to reporters at the NFL’s league meetings on Monday, addressing the Jets’ activities from the past month publicly for the first time. 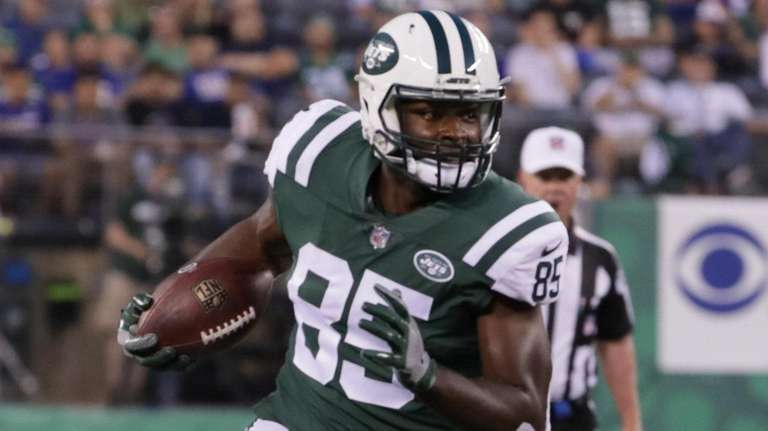 In the landscape of pro football where unexpected activities usually set most roadmaps awry, the Jets punched their destination into Waze and achieved an NFL rarity. They arrived at their destination. The two headliners in that haul, of course, are running back Le’Veon Bell and linebacker C.J. Mosley. In fact, they’ve been the buzz of these meetings. Maccagnan said those are the two additions that most teams have spoken to him about in Phoenix. Maccagnan said the Jets started doing background work on Bell last season when it looked as if the Steelers might be interested in trading the season-long holdout. That never happened, but when Bell hit free agency earlier this month the Jets already had a fairly full book on him. There may not have been as many suitors for Bell as some anticipated. The Jets wound up signing him to a four-year, $52 million deal. “We felt good about the player and we felt good about the contract,” Maccagnan said. He said the same about the big defensive addition in Mosley, who was added on a five-year, $85 million deal. None of which is to say the Jets got everything they set out to add. They did lose edge rusher Anthony Barr after reaching a verbal agreement with him just before the official start to free agency when he decided to return to the Vikings. 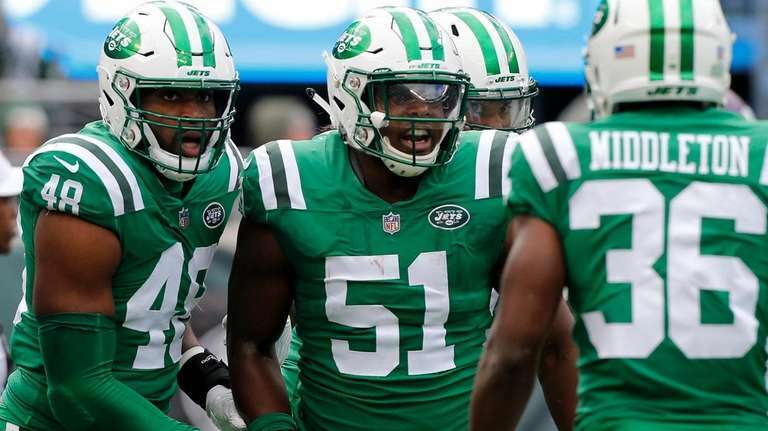 They have a surplus at inside linebacker, and though Maccagnan refused to speculate on trading Darron Lee, his future with the Jets seems tenuous. Maccagnan said there are still holes on the roster he wants to address, either through the later waves of free agency or in the draft. But for late March, and just two weeks into the league year, the Jets are in a pretty good spot. Notes & quotes: Maccagnan reiterated what he said at the NFL Combine, that the Jets are “very open” to trading back from the third overall pick in the upcoming draft. “We’d definitely be interested if another team came with an offer that we felt would be worthy of moving out of that spot,” he said. He added that he’s had “conversations” with other general managers at these meetings, but “nobody is actively trying to do anything at this point” … Maccagnan said nothing the Jets did in free agency “changed dramatically how we’ll focus on the draft” if they stay at No. 3. 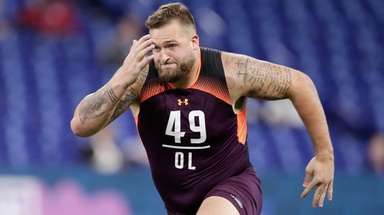 Even if the Jets had landed Barr as an edge rusher, he said, the Jets would still likely be looking at pass rushers and defensive linemen at the top of the first round . . . The Jets have re-signed outside linebacker Brandon Copeland and tight end Neal Sterling, the team announced Monday.